Drafinsub, an Italian underwater works company, has selected Saab Seaeye’s Falcon, an electric robotic vehicle, to carry out a wide range of complex tasks. 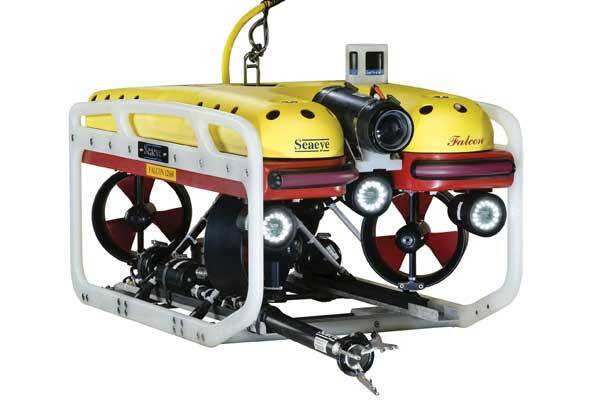 Saab Seaeye is a leading underwater e‐robotics (ROV) company. The long-established company, with its all-inclusive diving operations that include their new nine-man 300msw saturation units, undertakes extensive underwater works offshore, along with dams, nuclear installations and inside tunnels, said a statement. Work includes pipeline construction, cable laying, offshore platform maintenance and mine clearance, it said. Drafinsub said that they will use the Falcon for various tasks including: diver assistance in shallow and deep water (300 msw); non-destructive ultrasonic testing with an onboard Cygnus, and cathodic protection with an onboard probe; general visual inspections on pipelines and other structures. “It is reliable, scalable and suitable for most kind of works, from observation to non-destructive testing and survey,” Dellacasa said. “Our company has more than 20 years’ experience with ROVs and we felt it was the right time to take a leap in quality, with the completion of our second diving saturation system,” Dellacasa added.